Here is the second installment in the poster series that I did a little while ago. These were themed around the Lean principles and process. 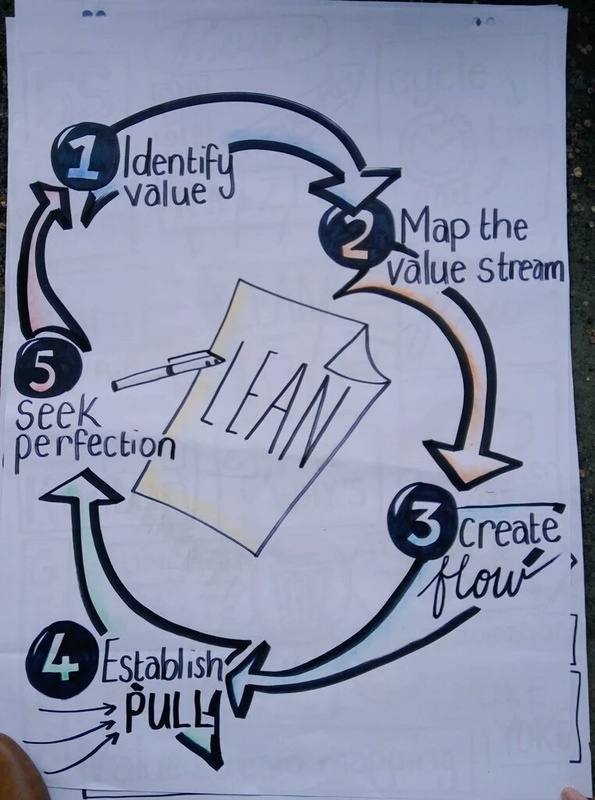 You can have a look at the Lean Coffee Poster here. I was asked to create some posters a few months ago for an awareness event at one of the large organisations in South Africa. One of these posters was to explain the Lean Coffee (or Agile Coffee) process. It’s a really great way to run meetings and keep people involved. We now use this format quite often within our teams, and across our company, as a way of discussing topics and sharing information. The details of how to run your own Lean Coffee and the purpose behind this meeting format can be found here.